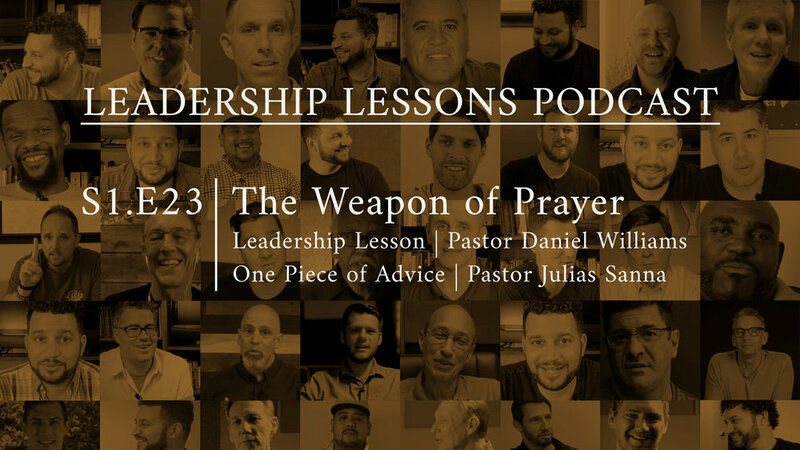 In this episode, Pastor Daniel gets excitied, encouraging everyone to pray! Understand this: prayer is a spiritual weapon. “You are in spiritual battle. If you are ignorant or ignore that fact, you probably aren’t winning the battle.” (David Guzik) The Apostle Peter describes this reality in 1 Peter 5:8: Be sober-minded; be watchful. Your adversary the devil prowls around like a roaring lion, seeking someone to devour. No amount of studying or skill can overcome a lack of prayer. God’s power is activated through prayer. And this is the confidence that we have toward him, that if we ask anything according to his will he hears us. And if we know that he hears us in whatever we ask, we know that we have the requests that we have asked of him. (1 John 5:14-15) We all need this reminder of the amazing access to God’s strength and power through prayer. In this week’s One Piece of Advice, Pastor Julius Sanna, Joy Church, Delray Beach, FL shares from Proverbs 3:5 about trusting in God with all of our heart. This week’s One Piece of Advice about team leadership comes from Pastor Kevin Day, serving in Pastor Daniel’s home state of Washington. 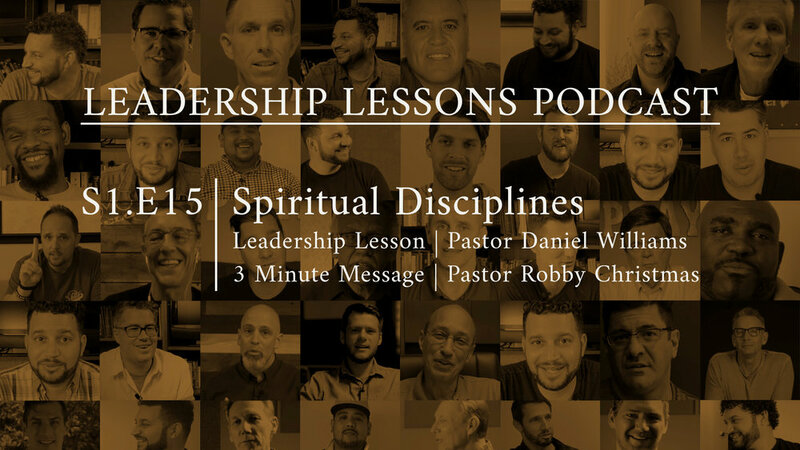 In this week’s episode, Pastor Daniel talks about having faith in different seasons of life and ministry, how important it is for us as church leaders to trust God no matter what is going on at any given time. “It is from faith to faith that we are to live, to walk by faith and not by sight.” This type of faith is cultivated. It grows and changes. What may have taken a huge step of faith in our life three years ago may not be the same today. God grows our faith step by step. 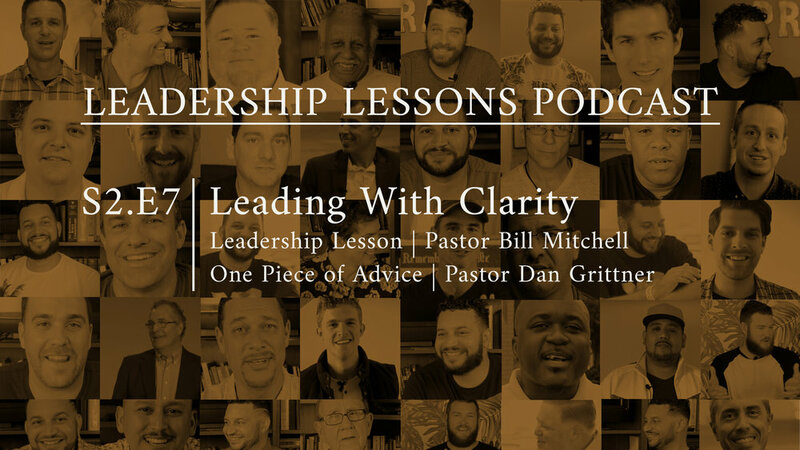 What is faith and why is it important for us as ministry leaders? “Faith is trust in someone or something. Our salvation comes by faith. We are saved by grace through faith. We trust that God has the power to do this.” In Chapter 11 of the book of Hebrews, we are given great examples of faith and this definition: Now faith is the assurance of things hoped for, the conviction of things not seen. (Hebrews 11:1) One of the temptations of having the gift of leadership is to begin to trust in our own abilities rather than trusting in God. But we need to constantly remind ourselves, through prayer and intentional reliance upon Him, that God Himself is the source of our plans and any success we may have. Are you so foolish? Having begun by the Spirit, are you now being perfected by the flesh? (Galatians 3:3) How can you cultivate your faith today? What is God telling you to do that requires faith? Daniel gives four reasons why faith is important in this and every season of life. You don’t want to miss it. You will be encouraged. 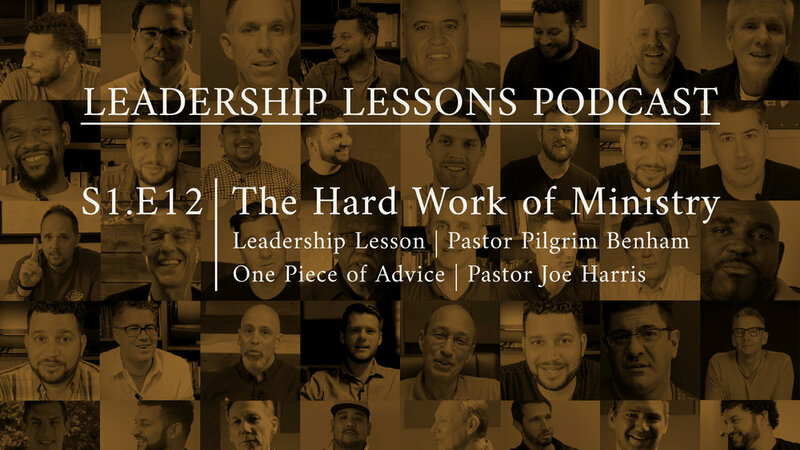 In this week’s One Piece of Advice, Ben Courson, founder and director of Hope Generation, shares his advice about how to cultivate our faith by taking risks in ministry. 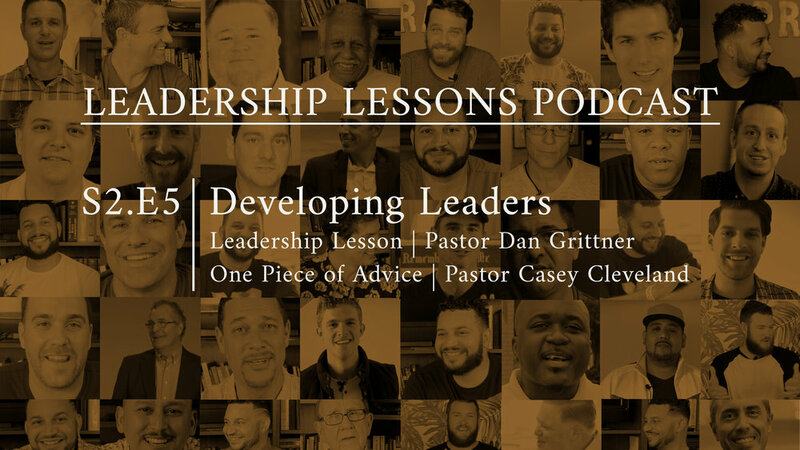 This week Daniel talks with his friend Ben Courson, the hope-full and hope-filled founder and director of Hope Generation, an international ministry including television, radio, podcast, YouTube and Instagram. He also pastors in Medford, Oregon. And he memorizes a LOT of scripture. In this lesson, Ben talks about how he does it and why it’s important. What motivated him to get started memorizing scripture? Growing up as a pastor’s kid and listening to scripture songs started Ben on this lifelong practice of memorizing scripture. “It’s just easier if it’s set to music.” What does the Bible have to say about the power of God’s word in our hearts? Psalm 1 speaks of the blessing that comes with meditating on the law of God day and night. It gives you strength. So what is the key to memorizing scripture? You just have to do the work. The Bible talks a lot about diligence, sticking with something. Whatever you do, work heartily, as for the Lord and not for men (Colossians 3:23) Ben himself followed the 10,000 hour principle of mastery, devoting that amount of time over a 5-year period to studying, memorizing, writing and teaching about God’s word. But you start where you’re at. If you have an hour a week, memorize one scripture. Sometimes you don’t have anyone around to encourage you. David encouraged himself in the Lord. You can, too. Ben’s favorite verse? Psalm 37:4: Delight yourself in the Lord and He will also give you the desires of your heart. Follow Ben at www.bencourson.com. Here is the link to his YouTube video: www.bencourson.com/hope-generation-creative-1/1/21/2017/promises In this week’s One Piece of Advice, Daniel’s dad, Pastor Joe Williams, Tacoma, Washington, shares encouragement through the scriptures.